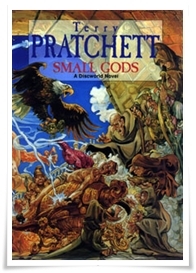 Pratchett’s one-off Discworld novels were often rather special, and such is the case with this exposé on organised religion. The (formerly) Great God Om finds himself unwillingly manifested as a tortoise with only one follower. Nigel Planer is exquisite in his narration.